Welcome to our selection of carefully crafted active tours in Barcelona. 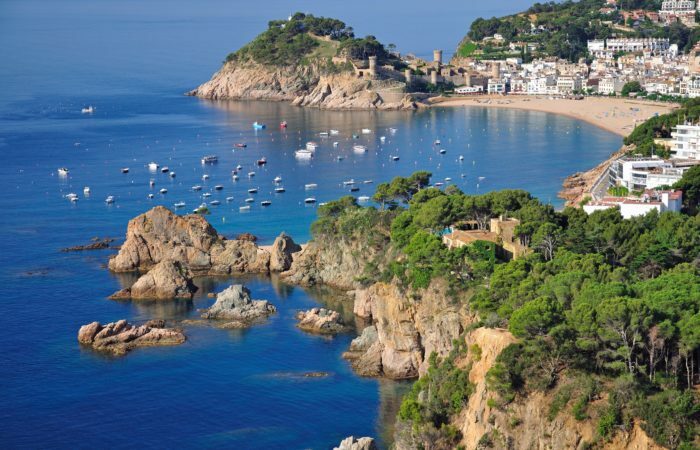 We recommend some of the best outdoor activities you should experience while you are on holidays in Barcelona. 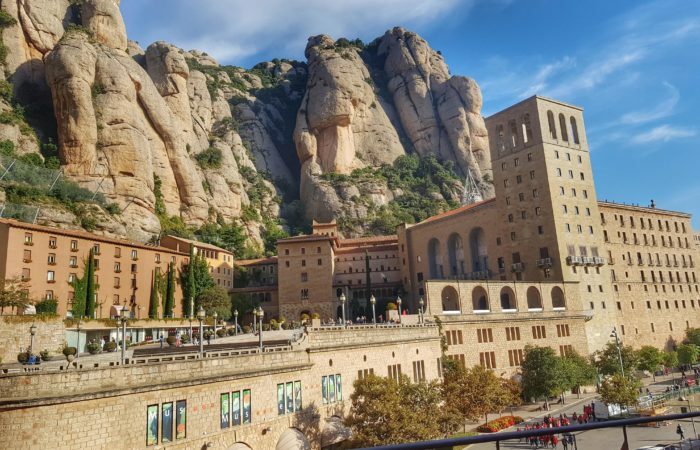 The best active tours near Barcelona include the famous Montserrat Mountain and Monastery. We run small group and highly personalized walking tours around the Montserrat Mountain. Explore the Natural Park of Montserrat, admire the fantastic views and discover some aromatic plants that grow in the area. Engage your senses and leave Montserrat filled with pleasant memories. Among other top active tours to do in Barcelona we recommend our unique walking tours in the Pyrenees. 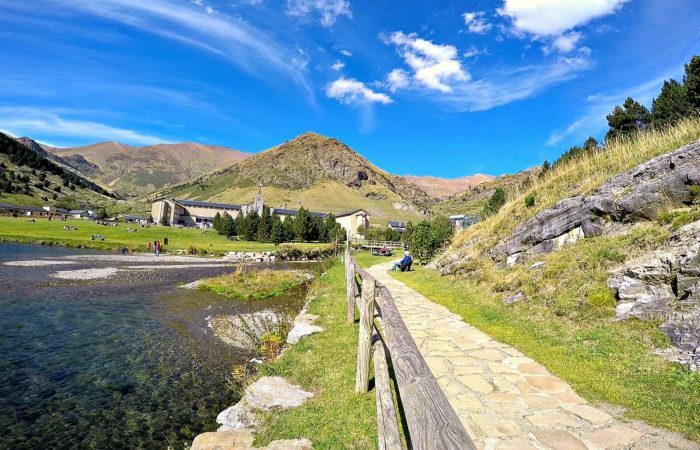 Reach the Nuria Valley at the altitude of 2000m by a special mountain train. Explore the valley, its majestic peaks and observe the wild animals in their natural habitat. 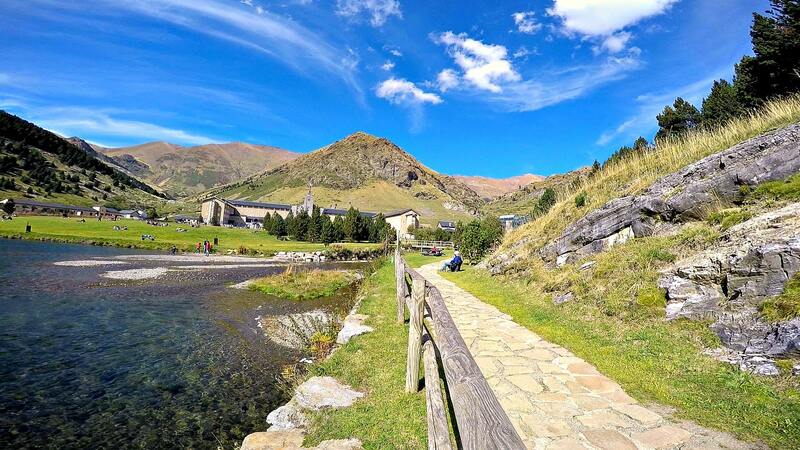 Soak in the peaceful atmosphere and relax around a beautiful lake in the Pyrenees. 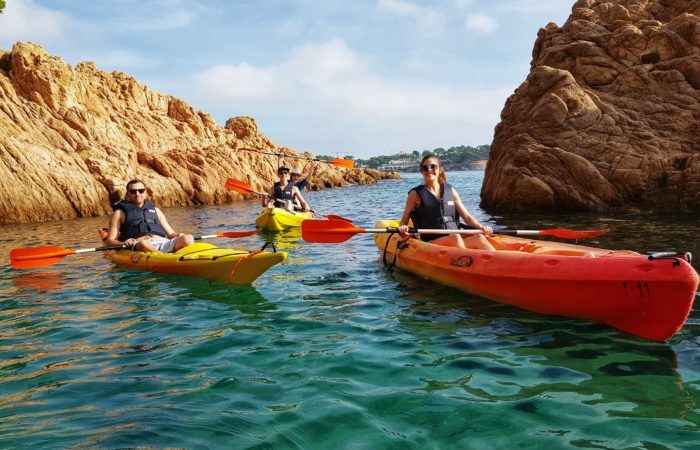 The most exciting outdoor activities in Barcelona also include small group kayaking tours in the Costa Brava. 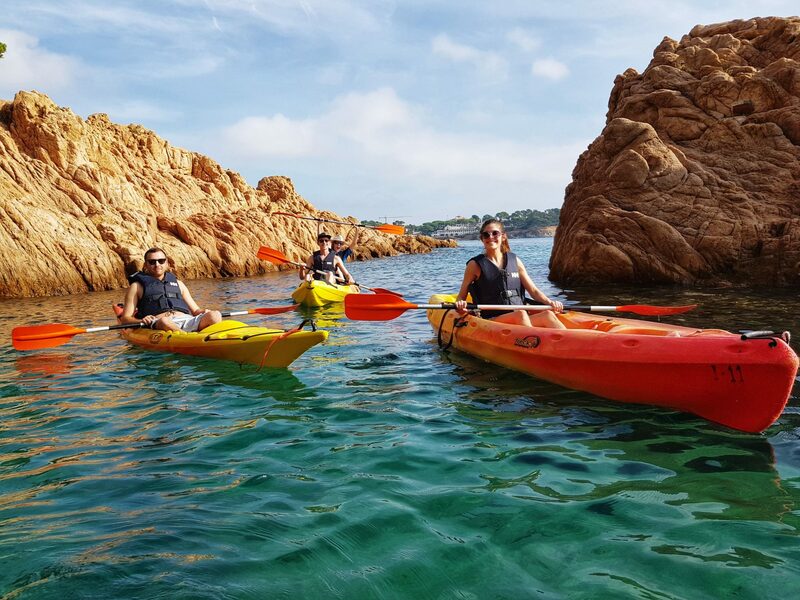 Leave the bustle, hustle, and heat of the city and enjoy our best value kayaking tours to the Costa Brava. Immerse into the Marine ecosystems and simply enjoy the beautiful coastline. 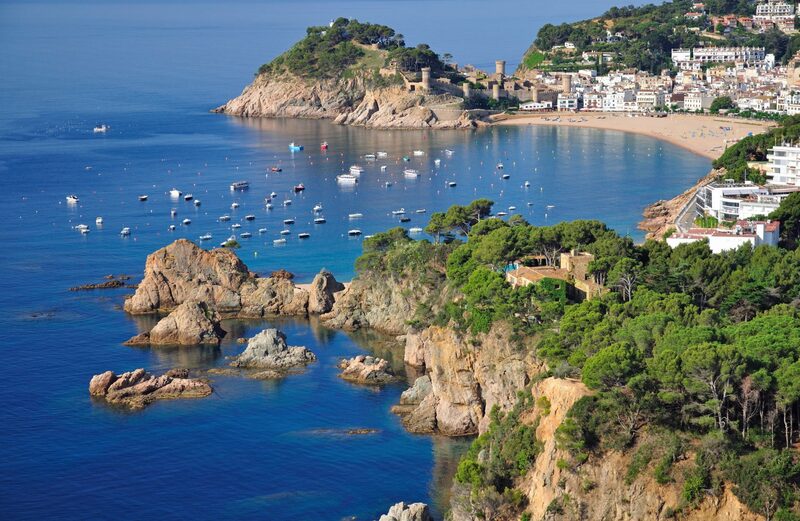 Explore several secluded bays and take advantage of cliffs for jumping into the crystal clear Mediterranean sea. We also provide itineraries and logistics for small group snowshoeing and skiing tours in Spain, France, and Andorra. We always offer 100% personalized experiences for all our active tours and outdoor experiences in and around Barcelona. I had a really good time with Stepan and the other people on the tour and I couldn’t have asked for more. The hiking was my favourite part though! Stepan was an absolut friendly and accommodating host! He told us about every detail of the tour, had a perfect organization, chatted with everyone, was very well informed about history and ecology during our walk – he showed us beautiful landscapes with a charming view, was relaxed and flexible. Also he proofed his responsibility, because the weather during kayaking was windy and the sea got a little wild. He was a fabulous coach. Afterwards he gave us plenty of time to swim and have a snack in a restaurant nearby. Great trip! Gladly again. Exceptionally well-organized hiking tour with amazing Montserrat views and best tour guide around! 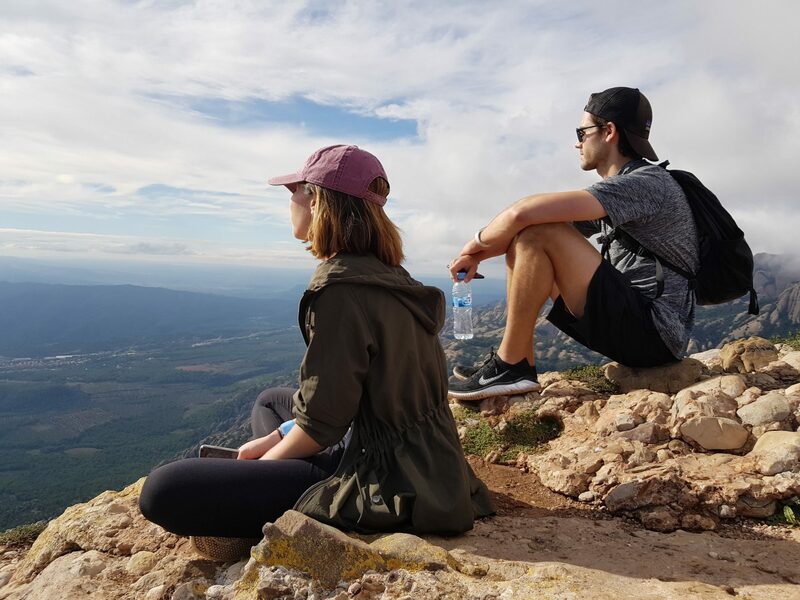 Stepan was able to adjust to everyone’s individual pace and requests during this group experience, as well as provide knowledgeable insights into the history, cultural and natural heritage of the region. He has also taken some great pictures for us when asked, that was a real bonus! A must-do experience would definitely recommend! This Tour is definitely on top of my highlights in Barcelona. Stepan knows every detail about this place and will teach you a lot of interesting things. He was punctual and very communicative all the time. The Tour itself is worth every Euro because you’ll have one of the greatest views over the landscape ever. On a clear day, you can see the Pyrenees and the sea behind Barcelona. The walk up is a bit challenging but not a real struggle. I totally recommend this tour of you want to see nature, get out of Barcelona or just have a day you won’t forget easily. Thank you so much Stepan! Stepan is awesome! He is very knowledgable about the wildlife and vegetation and was a pleasure to hike with. I would recommend doing any experience with him. Highlight of my week in Barcelona! This was my first time booking an experience through Airbnb and I was skeptical. But Stepan was friendly and knowledgeable about the history of Montserrat as well as various vegetation we encountered along the trail. Hike itself is an hour uphill and hour downhill with a 20 min rest at the top for snacks and bathroom break. At the end we were able to catch the choir performance at 1pm and do a quick cheese tasting from the local farmers market which was a great way to end the tour. Highly recommend! Stephan was an excellent guide. He told us about the plants and animals we were seeing, made sure we were safe, and is a very friendly person. The scenery was amazing. The hike was easy to moderate for someone who hikes regularly. Stepan was knowledgeable, considerate and overall super kind. I had my best outing yet today with Stepan exploring Montserrat. Would highly recommend doing this tour. We had a great experience with Stepan as our guide on our trip to Montserrat. He was a friendly, knowledgable, and thoughtful guide and we had a blast spending time with him while learning about this awesome monastery. He has exceptional knowledge of the history of the monastery, as well as the geology, flora, and fauna of the area. My husband and I travel a lot and have had many guides, and Stepan was excellent in every way. We highly recommend this excursion! Stepan was a great guide! really knowledgeable about the nature and wildlife of the mountain. He kept a good pace for everyone and was always happy to stop to let us take photos. Overall was a really terrific day!